It's back! 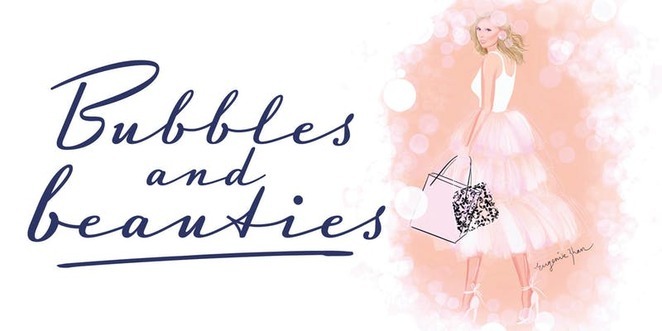 Bubbles & Beauties Weekend, Brisbane's iconic weekend event, returns on Saturday 30th and Sunday 31st of March, 2019! Held at the stunning Newstead Studios gallery, the Bubbles & Beauties Weekend is an opportunity to rub shoulders with Brisbane fashionistas, run your hands through all the latest luxury fabrics and find that simple elegant designer piece (or several) for the price of a light lunch! The event kicks off at 8am and during the leisurely morning, you can sift through racks of stylish dresses, pants, tops, bags and accessories all recently donated by local and national designers. Then sit back and relax in the onsite cafe which will be serving up coffee and delicious snacks during the day. The Bubbles & Beauties Weekend is one of Suited to Success' major fundraising activities. The Brisbane-based charity provides practical support to those facing barriers to employment and helps them overcome them. Their services include CV writing workshops, interview practice, job hunting skills and professional stylists who'll provide two professional outfits to impress at the job interview and the first few weeks at work. It is practical help where it is needed most. Funds raised at the Bubbles & Beauties Weekend will ensure Suited to Success is able to continue their inspiring work! General admission tickets are only $25 each. Your ticket allows you to attend on both Saturday and Sunday at any time between 8am and 3pm (8am is just the opening time). Directly across the street is a car park.